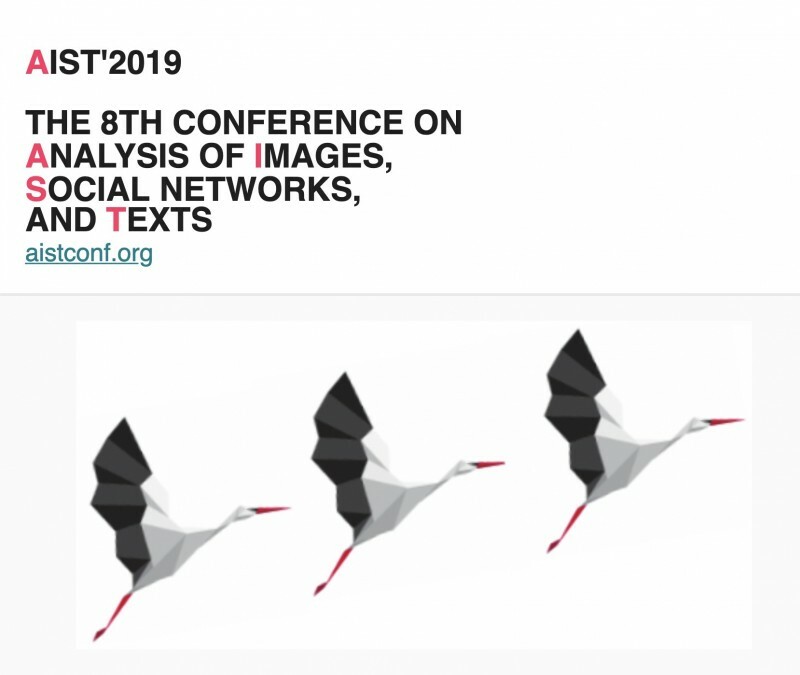 AIST is a scientific conference on Analysis of Images, Social Networks, and Texts. The conference is intended for computer scientists and practitioners whose research interests involve Internet mathematics and other related fields of data science. Similarly to the previous year, the conference will be particularly focused on innovative applications of data mining and machine learning techniques to image processing, analysis of social networks, text processing and other domains, such as economics or geo information systems. Full papers describing a completed research up to 12 pages of content with references. Papers should be submitted through the EasyChair conference management system (see the submission link above). Submitted papers should be written in English and provide sufficient detail to allow the Program Committee to assess the merits of the paper on the basis of technical quality, relevance to the conference topics, originality, significance, and clarity of presentation. Papers in the Russian language are not currently accepted.